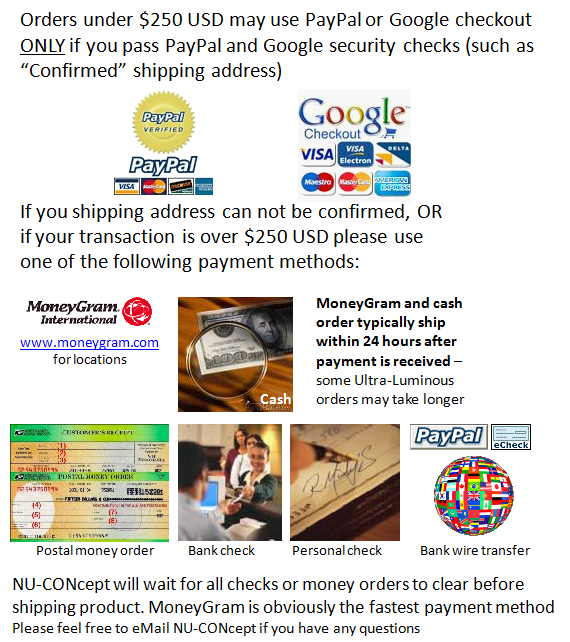 Most NU-CONcept products are typically mailed in a box which weighs between 2-4 pounds depending upon product ordered. Cost: $9.00 USD for shipping in USA. However, Express Mail (overnight) is $24 extra.